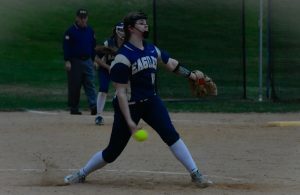 LEWISTOWN – It was business as usual for the Mifflin County softball team Thursday night as they went head-to-head for the third time against Mid-Penn Commonwealth foe State College as they posted a 9-1 victory in the semifinal round of the District 6 Class AAAA playoffs. Shelby Lyter was strong on the mound as she allowed just five hits and one run during the contest. She went face-to-face with State College Ace Karli Nolan. Leading the way offensively for the Lady Huskies was Karli Hunter who finished the day going 4-for-4 with an RBI and two runs scored. Offensively, Mifflin County had its bats in gear as everyone in the starting line up finished with at least one hit. Lyter even helped her own cause roping an RBI single, en route to the 8-run victory. After failing to post any runs in the first two innings, the Huskies got its offense going, posting a 4-run third inning. With two outs, Tara Kibe gave MC some two out lightning, roping a single to shallow right field. Her stay was a temporary one as Mara Rhodes blasted a triple into the right centerfield gap, making it 1-0. Hunter kept the inning going singling in Kibe with her second single of the afternoon. Hunter was replaced by Taylor Dietrich on the base paths. Jordan Shirey joined Dietrich on the diamond roping a single to third, putting runners on first and third. 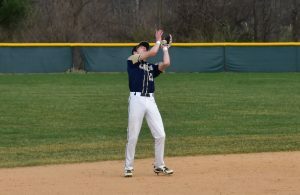 Lyter’s single cleared Shirey and Dietrich off the bases, ending the inning score at 4-0. Mifflin County’s defense continued to keep the Little Lions in check, allowing only one hit in the third inning. Olivia Riden got the fourth inning off and running as she smacked a single into left field. Maggie Wray’s picture perfect bunt moved Riden into scoring position, setting the stage leadoff hitter Allessa Morrison. Morrison came up huge as she smoked a double to left field, scoring Riden. Morrison moved up to third and later scored on two wild pitches, upping the score to 6-0. 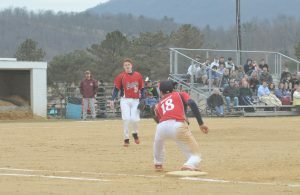 In the fifth, Mifflin County continued to pile on the runs as it collected three more runs. Hunter got the inning started with her third single of the contest. She scored minutes later when Shirey blasted the team’s second triple of the afternoon. With two outs, Hannah Ruby got the inning restarted posting a single up the middle. After reaching second off of another hit by Riden, Ruby was replaced on the base paths by Kaitlyn Smith. Riden and Smith later scored on a Wray 2-RBI single, extending the Huskies’ lead to 9-0. State College picked up a run in the sixth inning but it was Lady Huskies time to shine, heading to the D6 title tilt held at Penn State University. Next Story → The Lady Raiders say IT’S ON!! !